I am forced to reconsider my action. See what I mean? Now that video might be the cutest thing I have ever seen. And Alex might also be right about the black! Give up your life of crime Pam, before it is too late. All I'm thinking is that a life of crime looks like SO much fun!! Lots of fun friends, MUCH fun fabric involved and the opportunity to say "GO Baby" multiple times. What more could a girl want? I say flaunt your stuff and wear red in the line-up. You GO girl! Ha Ha Ha Ha!!!! She's just messing with you Pam! Don't give in!!!! Too funny...I love both bundles...yummy!! So yummy! 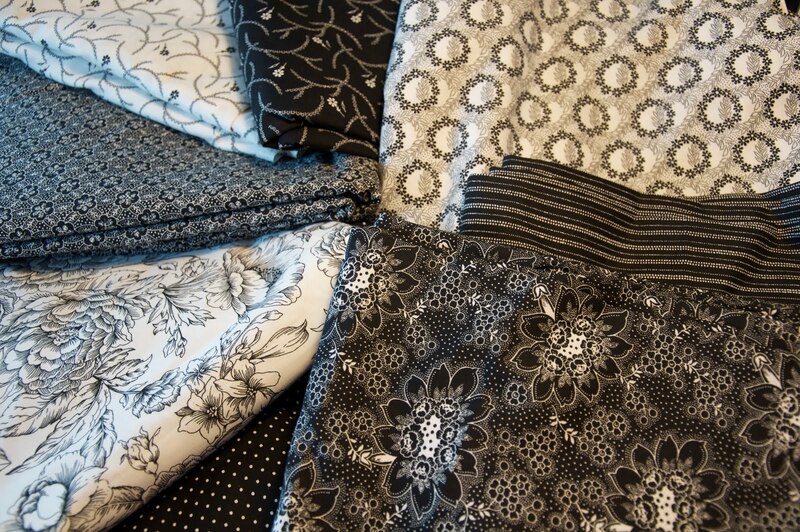 I love, love, love black fabric. But so does Elizabeth. And come to think of it... does Elizabeth have a Go Baby? I'd sleep with one eye open. MIx a little black with your RED and it will pop! I saw the GO baby Proto-type and the lady said we have to wait until December for shipment. I'd hold Alexs' hostage too, that 'baby' is so cute and fun. HEY!!!!! I didn't even turn my back!!! You have to be the nuttiest quilter around. Now I want a Go Baby and am not even sure what it is! You go...baby!